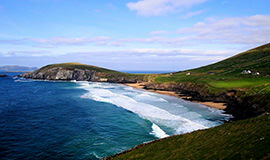 The best way to really explore all Ireland has to offer is by car. There are bus tours available but they are restrictive, if you want to do it properly then a car is the only way. Ireland is small enough that a three hour drive can take you anywhere in the country. Anywhere can be explored in a day and only by car can you truely enjoy the beautiful countryside the way you want to. 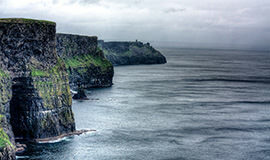 Ireland benefits from some of the best natural beauty in the world. It's a phrase often used that the journey is just as enjoyable as the destination. Never has this been more true than the Ring of Kerry but I don't want to spoil the adventure. You can find out more below. The Ring of Kerry is a visual delight for anyone who travels it – majestic mountains, beautiful panoramas, ancient sites, and little out-of-the-way towns. Drive through one of the most beautiful areas in the whole of Ireland. 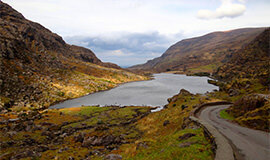 Killarney consists of majestic mountains, tranquil lakes and a host of historic attractions. The Wild Atlantic Way is the longest defined coastal route in the world, it visits a huge number of Ireland's top attractions surrounded by scenic beauty all along the way.